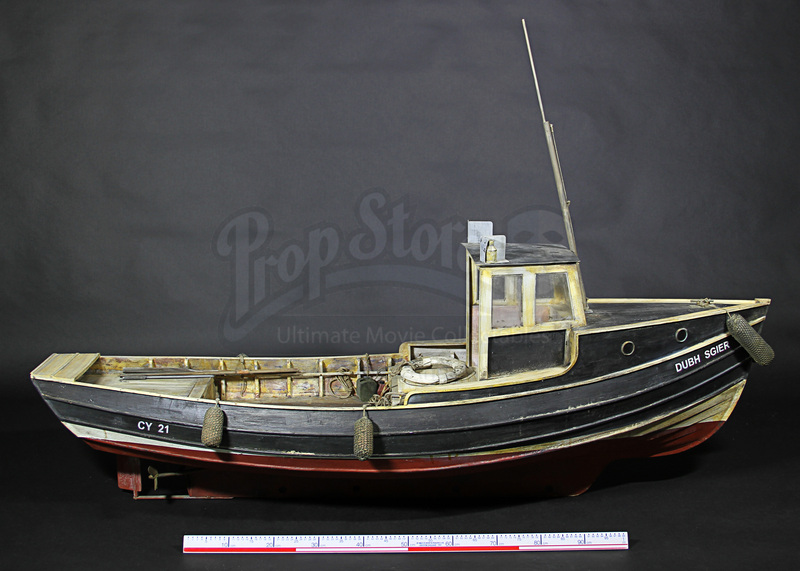 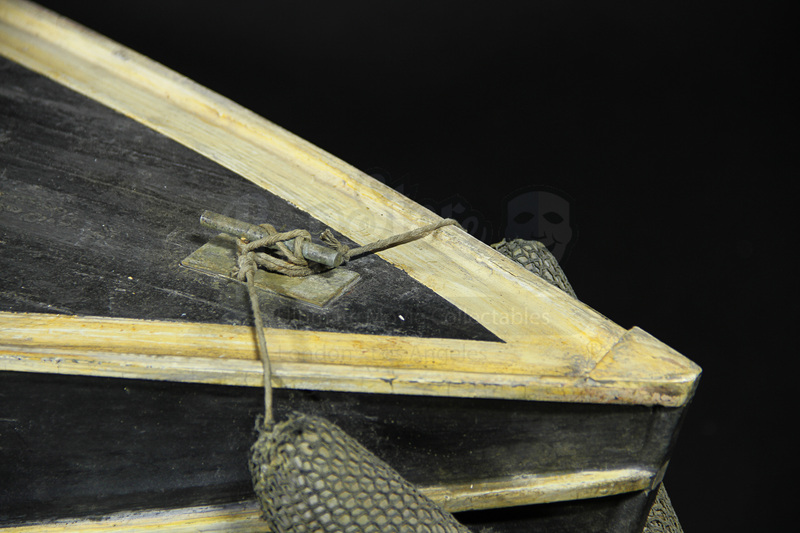 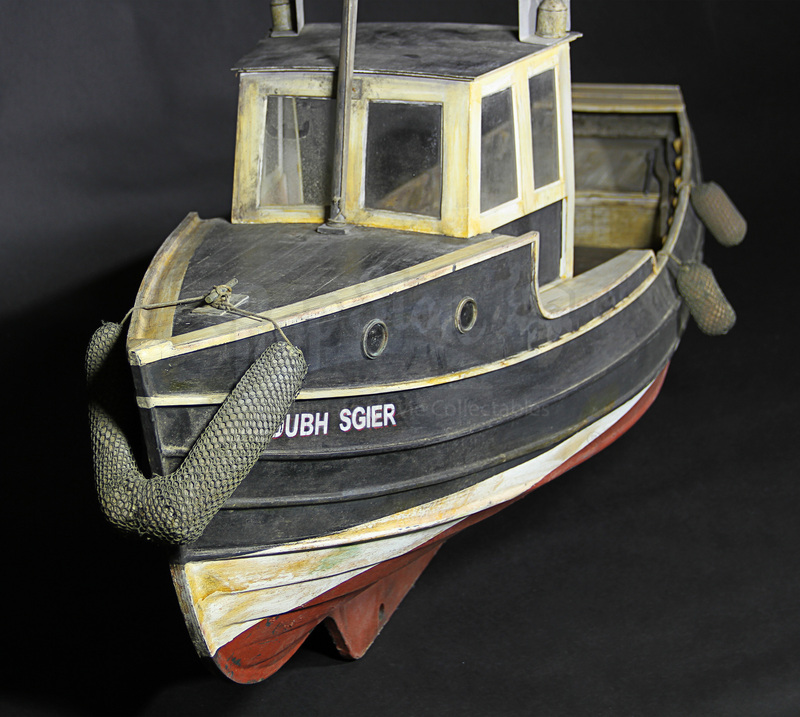 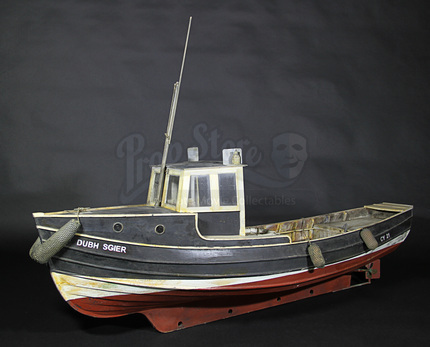 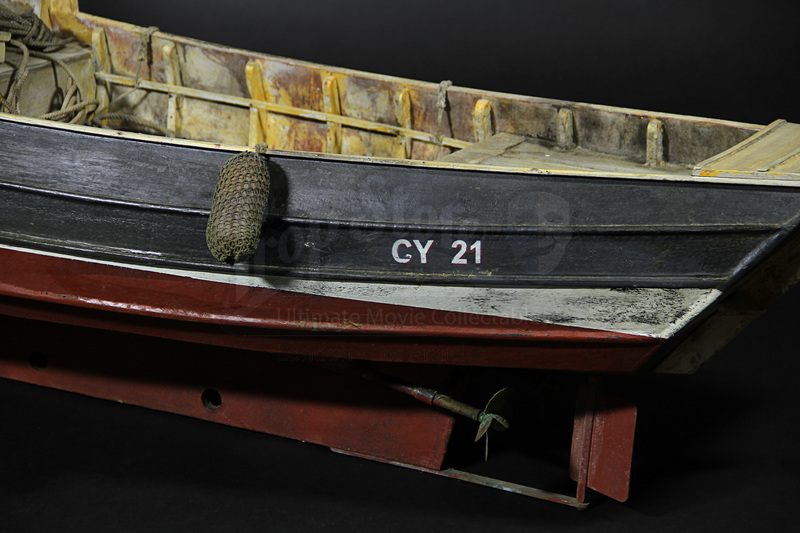 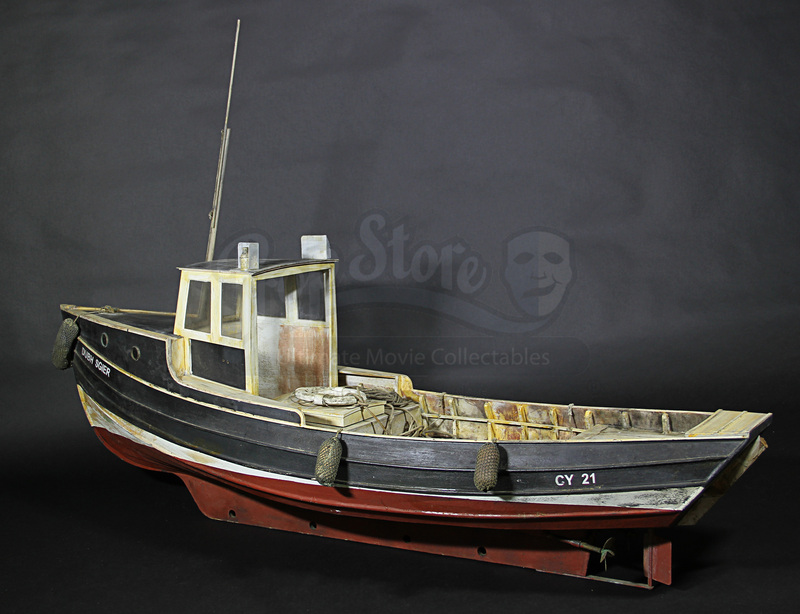 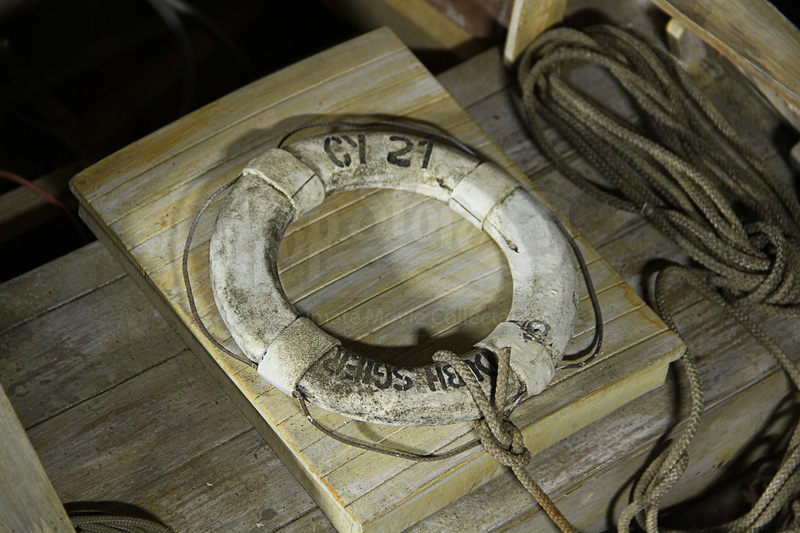 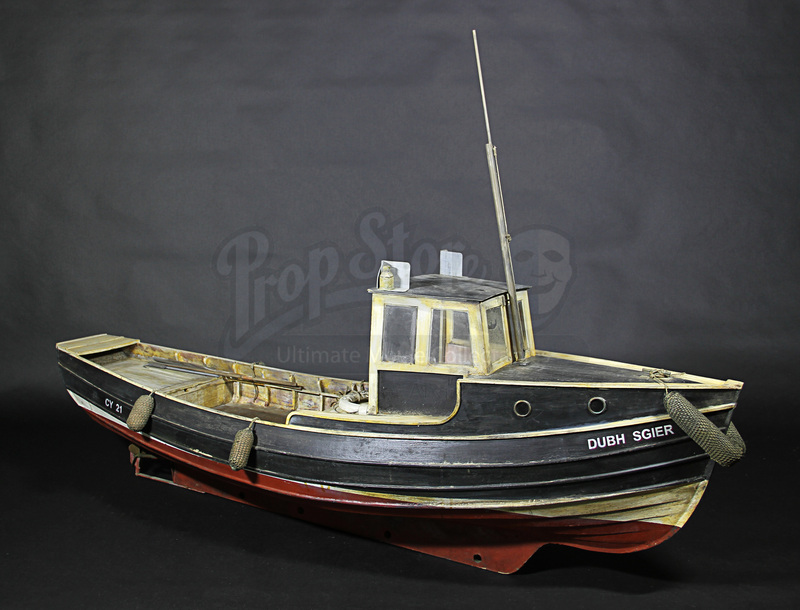 Puck's (Nikolaj Coster-Waldau) boat miniature from Michael Apted’s wartime thriller Enigma. 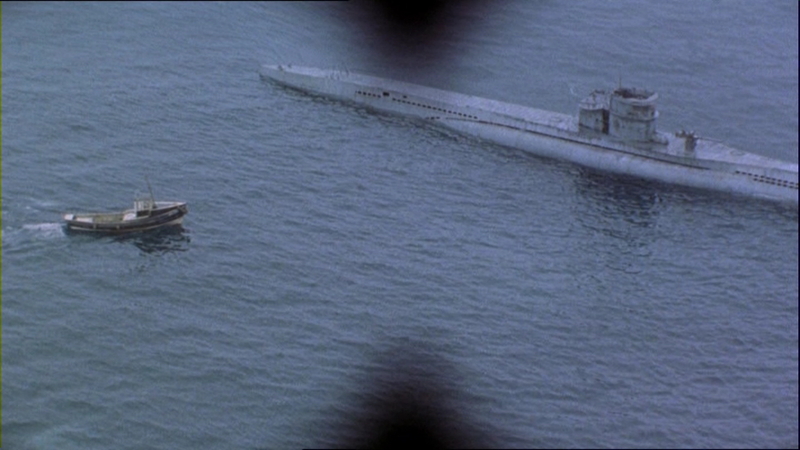 This miniature was used for the sequence as Puck’s boat and a German U-boat are sunk by bombers from the Royal Air Force. 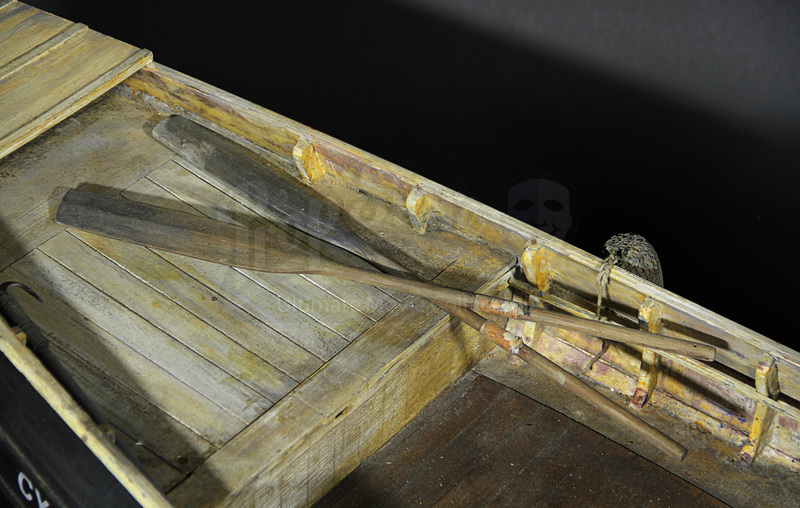 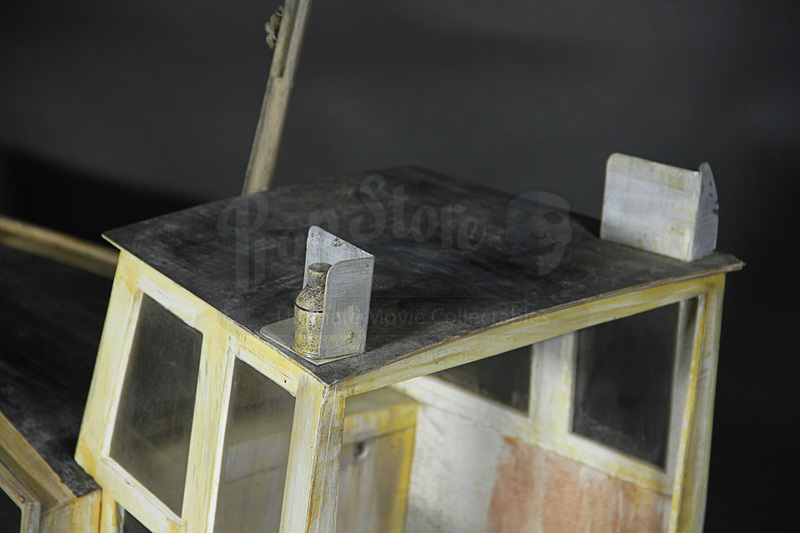 The boat is made of wood with metal detailing for the static rudder and screw propellers. 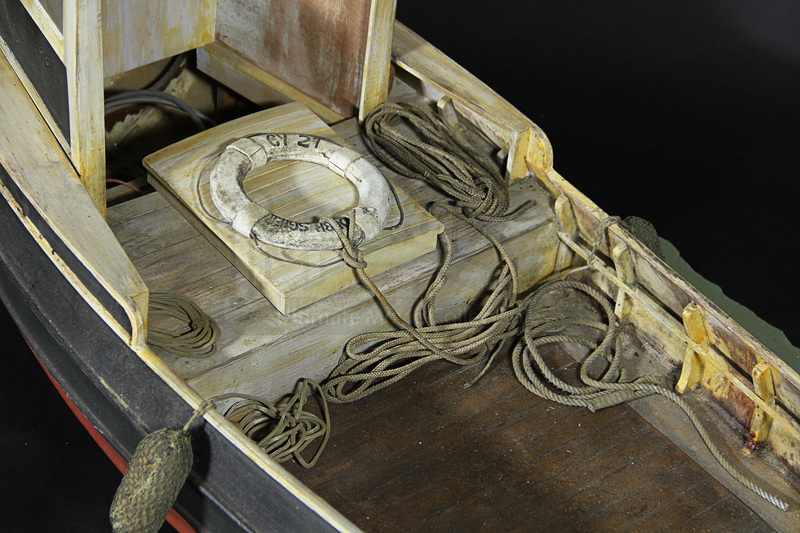 Sheets of clear acrylic replicate the full-size boat’s windows, with an array of equipment including hooks, fuel cans, floats and rope within. 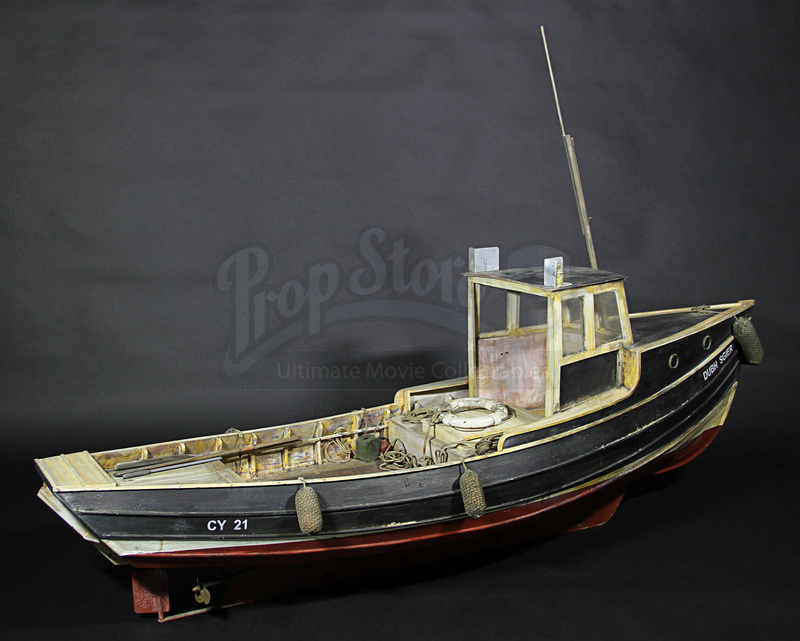 Prop fenders are attached at the sides. 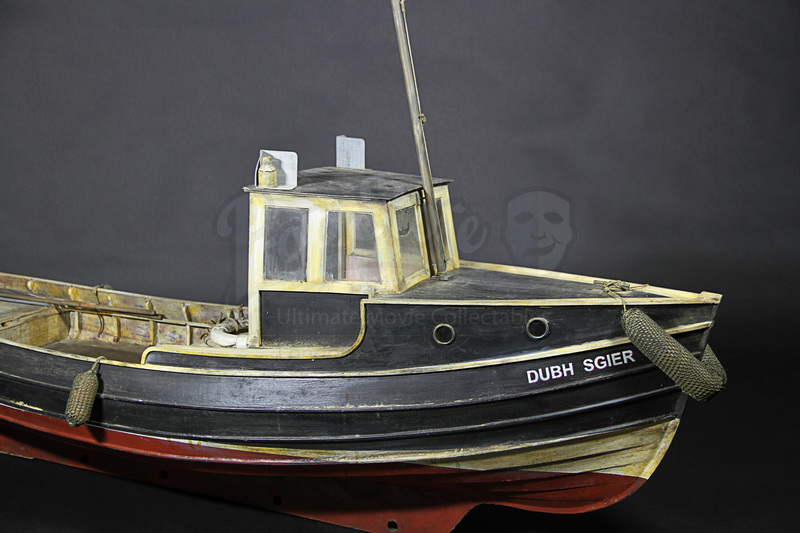 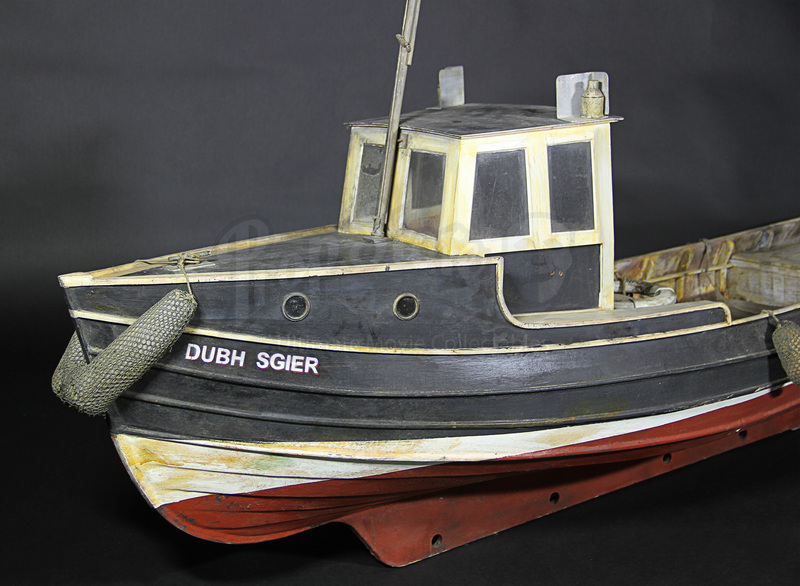 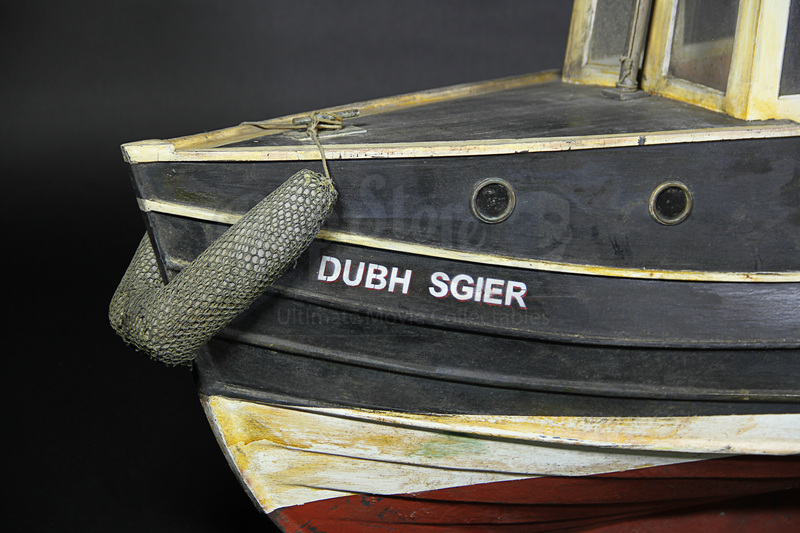 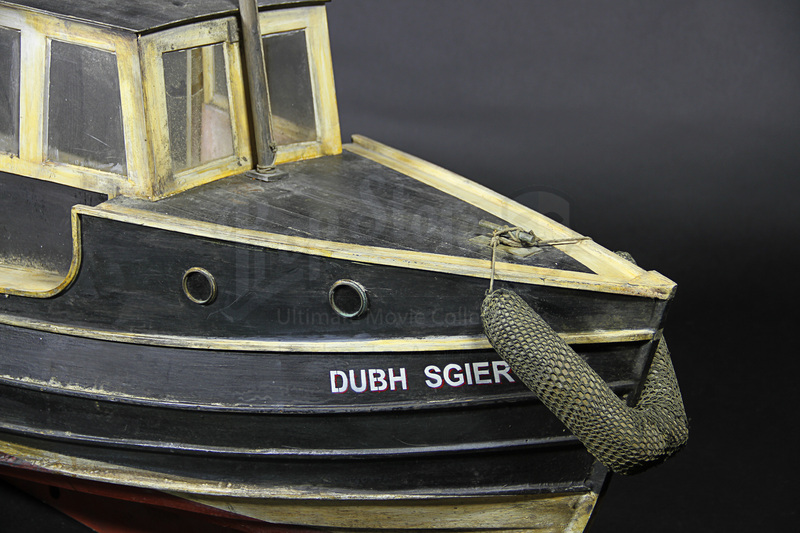 The piece has a distressed white, black and red finish with white and red “Dubh Sgier” and “CY 21” markings on the boat sides. 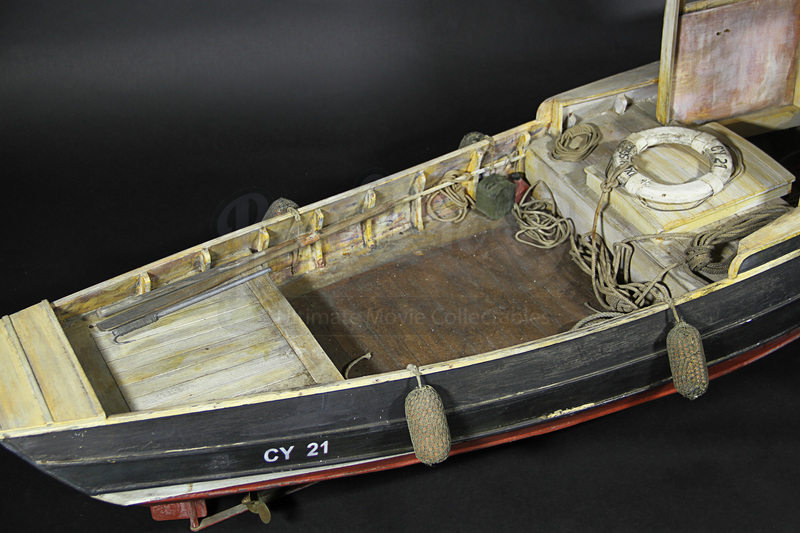 Displaying some minor wear from use, the boat remains in very good condition.